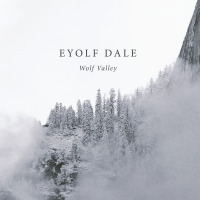 The follow-up to Eyolf Dale's Wolf Valley released on Edition Records in 2016 is no less impressive than its predecessor. Dale employs exactly the same line-up here so there are no major surprises except that Kristoffer Kompen now doubles on euphonium, Hayden Powell doubles on flugelhorn and Per Zanussi has dropped the saw. 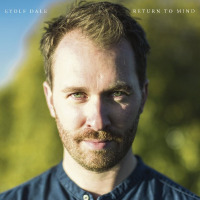 Dale himself is fast becoming one of Norway's most prominent jazz musicians gigging widely in Europe and beyond. He's also associate professor in jazz at the Norwegian Academy of Music. A mixture of light and shade, this is an imaginative set of chamber jazz bookended by two serene pieces, the opener "Midsomer Gardens" and the closer, "Tranquil Dance" both dominated by Dale's sensitive piano. The former piece is enhanced by irresistible ensemble passages. The pastoral mood continues with "Soaring" but "The Mayor" introduces a vibrant step change with Rob Waring's vibes to the fore before the piece accelerates with close formation bass and drums underpinning fleeting piano runs. The title track invokes a return to pastoral subtlety with the melody played most effectively by the ensemble. An ostinato piano riff heralds "Naurak," reappearing at various points throughout this memorable allegro number. Whilst the tunes may vary during this fifty minute outing, there is undoubtedly a pervasive characteristic of warmth in the ensemble passage as epitomised by "Woody." Occasionally there are quirkier pieces such as the rhythmically off kilter "I Can't Deny" which sports a pleasing tonal balance and an engaging duet between Adrian Løseth Waade and Hayden Powell. For an octet, the overarching sound on Return To Mind is often surprisingly fulsome and presents an attractive array of original, chiaroscuro compositions. Track Listing: Midsomer Gardens; Soaring; The Mayor; Return to Mind; Naurak; Woody; Rhône; Taplow; I Can't Deny; Tranquil Dance. Personnel: Eyolf Dale: piano; André Roligheten: tenor sax & clarinet; Hayden Powell: trumpet, flugelhorn; Kristoffer Kompen: trombone, euphonium; Rob Waring: vibraphone; Adrian Løseth Waade: violin; Per Zanussi: bass; Gard Nilssen drums.